Arrival at Jammu railway station and shall leave for Katra, overnight stay at Katra. 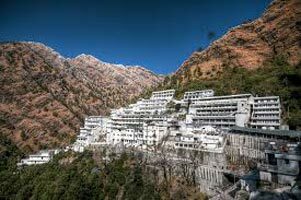 After Breakfast we shall leave for Maa Vaishno Devi Darshan and shall back to Katra by the evening after Darshan, overnight stay at Katra. After Breakfast we shall leave for Dharamshala, overnight stay at Dharamshala. After Breakfast we shall leave for Manali, overnight stay at Manali. After Breakfast shall leave for the Rohtang pass up to the snow line area and by the evening shall back to Manali for the overnight stay. Please note that our vehicle will not to up to Rohtang pass because the Himachal Govt has banned the vehicle to go to Rohtang pass only HP Vehicle can go. 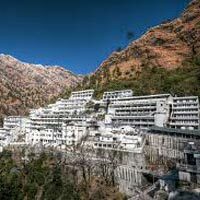 Activities in Manali :- Evening half day city tour visiting Hidimba Devi Temple, Manu Temple, Vashisht Village, Vashisht Hot Water Springs, Van Vihar, Hong Kong Market, The Mall Manali and The Tibetan Monastery. Kullu :- Kullu is famous for Kullu shawls. Activities at Chandigarh :- Sukhna Lake, Rock Garden, Rose Garden, Shopping at Sector 17 Chandigarh.